Initially I was planning on a windowless ITX case, but decided now was my opportunity to build in the Node 202! I built this PC strictly for gaming and web browsing at my 50" TV. Several months from now when I see my uncle, he will be transferring his enormous library of TV shows and movies to my future external HDD (which I also plan to download my entire Steam library to... RIP free time). So, this computer will ultimately be a great living room/portable media experience. The great thing about this case as well, is that I can fit it into my ASUS laptop backpack and bring it with me to friends houses. It is quite a feat considering this case is about the size of an XBOX One. If I didn't have a gaming laptop I would consider taking this with me when I fly (like what Awesomesauce Network did!). I only ran into one snag when putting this build together. I didn't check the compatibility of M.2 drives with my motherboard and ended up purchasing one that was not compatible, setting me back by 4 days on completing this build. I ended up going with this Kingston drive because it was the cheapest available and it was compatible. One thing I definitely plan to change is the power supply. This one is just... loud. I don't want my HTPC to be loud. All other fans in my system are quieter combined than this PSU. I will eventually upgrade it to the 600w Corsair SFX PSU that has gotten a lot of great reviews. My goal was not to build an overpowered HTPC. I just wanted something in the mid-range that would play my games on medium/high at ~60FPS. I use my main rig to play my games in 2560x1440 resolution, so I didn't need anything like that for this build. I used MSI Afterburner to overclock this card. Overall I'm quite satisfied with this build! I admit that I was incredibly skeptical about using this CPU in a gaming PC. I'd seen reviews and heard people talk up a storm about this chips capabilities. I'm pleased to say I was very wrong. This game runs The Divison in 1080p (medium) paired with a GTX 960 4GB without a hitch. I've also done several Heaven/Firestrike benchmarks and it performs very well, not to mention it doesn't get very hot. It rarely exceeds 60C. If you're looking to build a budget Skylake gaming PC, either because you don't need anything super powerful or you would like to upgrade down the line, but just don't have the funds, this is a great option. I would recommend this over quad core AMD builds. Not much to say. Sweet board so far. Nothing flashy in the looks department, but it's in my HTPC anyway, so that doesn't bother me. I like the BIOS. Wifi seems to work very well, especially considering I'm on the second floor and the opposite side of the house from the router. Just make sure you check the manufacturer website for M.2 compatibility if you plan to utilize that slot. Cheapest M.2 drive in this capacity that I could find that was compatible with my motherboard. Nothing to complain about really. I just use this for my OS and a handful of games for my HTPC. I'm happy with this cards performance. I successfully overclocked to core 1586mhz / mem 3824mhz. It runs stable and hit a max of 62C in Heaven benchmark (high/2xAA/mod tess). Great card for 1080p gaming. Not sure I'd spend more than $200 on a card like this, but I did get it on sale for $180, so it was a win-win for me. I've heard blower style cards can be louder and it's definitely true, though not as bad as the PSU in this build. Something to keep in mind if total silence is something you want. Great for what it does, but it's louder than my CPU cooler and two case fans cooling my GPU combined. I will be replacing it with Corsairs 600W Gold SFX PSU. It would also be nice if it came with flat cables. The Mobo cable is short and fat, effectively making it impossible to do anything with it in terms of cable management. I've never used these before, but heard a few good things about them and decided to give them a shot. I use two of these to cool my GPU in my Node 202 and holy hell do they do a great job of that. My GPU temps went down 10-13C. Keep in mind this is using the included fan splitter that reduces the fan speeds in half. This way they're silent and effective. Really happy with these fans. Great value! The problem with that is it's a dead end for upgrading. That hardware has been on its way out for a while. A score difference of 100 doesn't justify that kind of switch in my opinion because I'm ultimately limited by old architecture. With this build I can upgrade as new hardware comes out if need be. I would rather invest my money on something that can be improved down the line and keep up with modern games as their CPU/GPU requirements change. But as I mentioned, I wasn't looking to go overboard here. This isn't my main rig. I wanted something in the mid range that was also power efficient and that's what I got! Wow can't argue with those results. And it has flat cables! I definitely should've done more research on SFX PSU's, but too little too late. That Corsair is significantly better and it costs the same. I know that feeling all too well. Why don't we know better! You could always resell and pick up the corsair. Taking a small loss would definitely be worth that noise reduction in my opinion. Frankly, I was blown away by Corsair's results. I never expected them to edge out Silverstone. True. I might just recycle it for the second Node 202 case I bought by accident haha. You already seem to have so many builds. I'm jealous! I went almost a year without building anything after my first build last March. Then I built a PC for my friend when I went to visit him and well... It has become an expensive hobby, but I really enjoy doing this. It's one of those things I just don't get bored with. I can spend countless hours on this website or testing a build. You should! Get the Fractal Design Node 500 and tell her it can make toast. I'll be posting another build next week! Stay tuned. Nice build man. I myself am looking forward to build in a Node 202. It's definitely a little frustrating, but the end result is worth it! I would refer to the link that twinn posted for picking out your power supply. There aren't very many SFX PSUs on the market right now, so choose wisely! Probably. I'm going off of what MSI/Heaven says. I definitely think I can push it further now that the temps are in a much more comfortable zone! Thanks for providing clear pics of the fans & GPU-- I'm planning out a build in this case and every little bit of information about clearance helps. I always want to see that in other builds, so I make sure I get good shots of things like that. Makes it easier to understand placement. Nice build! I like all of the white game consoles. Haha thanks. I have the white Destiny PS4 as well, but it's not at my house. 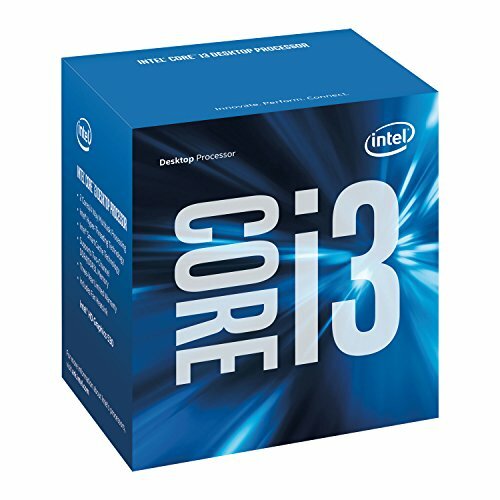 Does the motherboard have a 3.0 header or just the 3.1? Yes it does have a 3.0 header on the board. I would hope so considering it's a $100 board. True, but I went with the m.2 to increase cable management space (glad I did). I wasn't trying to make a powerhouse system out of this rig right away, so my only goal was to keep it under $1000 and achieve 1080p/60 since this was hooked up to my old TV. I just got a 4K TV last weekend, so I will be upgrading to the 6600 and a 1060/1070 as well as a better power supply because this one is obnoxious. Not until later this year though. How is the case? Was implementing the graphics card any difficult? The worst part of this case in my opinion is how you open and close it. Very frustrating dealing with the plastic clips that secure the top half. Aside from that it was pretty easy to build in. GPU fit fine. I've even seen someone squeeze the new Strix in this case with fans underneath like I did and it worked fine. Since looks really aren't important in this case, I would highly suggest going with a founders edition card or other blower style card. Will do wonders for your temps. Pop in two fans like I did and your card will never go over 63C. It also helps if you can remove the ssd cage. I'm only using an m.2 drive in this build because every centimeter of cable management space is important. Have to give you a +1 on this build. Love the detailed description and the reviews on parts, but most of all love you gaming setup with all the consoles layed out. Your motherboard is good, but I would look into ASRock Sky-OC a little if you want to overclock your locked CPU for a bit better gaming performance. A motherboard like a ASRock Z170A-X1/3.1 LGA 1151 is about $90. Just make sure that you have the BIOS version that supports the Sky-OC function, and make sure not to upgrade to the version in which it is removed. The reason Intel had ASRock and all the other motherboard vendors remove this function was that locked CPUs were not meant to be overclocked, and when they were able to be, this essentially broke Intel's pricing strategy and forced Intel to threaten the MOBO manufacturers with making their products incompatible with their CPUs. It was a nasty fight, but the manufacturers yielded in the end, and released a BIOS version that removed the function, only if people upgraded to it. Here is a video from about 3 weeks ago on it if you need: https://www.youtube.com/watch?v=fiw2r-_AdGM . Remember that overclocking a non-K CPU will most likely disable integrated graphics. Here are some user benchmarks: http://forum.hwbot.org/attachment.php?attachmentid=3594&stc=1&d=1449818851 . All Non-K OC motherboards and BIOS are available here: http://overclocking.guide/downloads/skylake-non-k-oc-bios/ . I felt like I was reading a story haha. I actually don't have any interest in overclocking for this rig at all. I will eventually upgrade it to a quad core, but it's not a priority of mine. I greatly appreciate people willing to explain their positions and provide some sources! Yes, I guess it isn't necessary as long as it meets your needs.Your gaming benchmarks are definitely decent, but it seems it may have a bit of trouble on higher AA settings or more CPU bound games. For gaming as of current, a quad-core seems to be a great solution for everyone, although 6 and 8 core CPUs are not very common on the market, but we will have to see about that after the first batch of AMD Zen CPUs are released, which is a great anticipation for the market. I am sure with the release of Polaris and Pascal, connectivity with monitors will be improved, allowing 4k 120FPS and 8k 60FPS, which is a reason why I am staying at 1080p and 1440p, and an overall good reason to not go all-out on a build, at least for me. Very true. I don't think I will play too many CPU intensive games on this rig, but my goal isn't to max everything on this. That's what my main rig is for. ;) Although that is more of a challenge now since I switched from 1080p to 2K. I'm running 970s in SLI in my main rig and playing games on my ASUS PG278Q (which I love to death). Once Pascal is released, if I like what I see, I will upgrade my GPUs and add another PG278Q to my main setup. Nope. Not what I wanted. You can read a similar comment above and my answer to it. If I didn't know any better I would say you didn't read my description at all, because this entire part list ignores my needs for this build.